Nylon is a lightweight, water-resistant fabric. They are not coated with plastic and feel like slippery fabric. 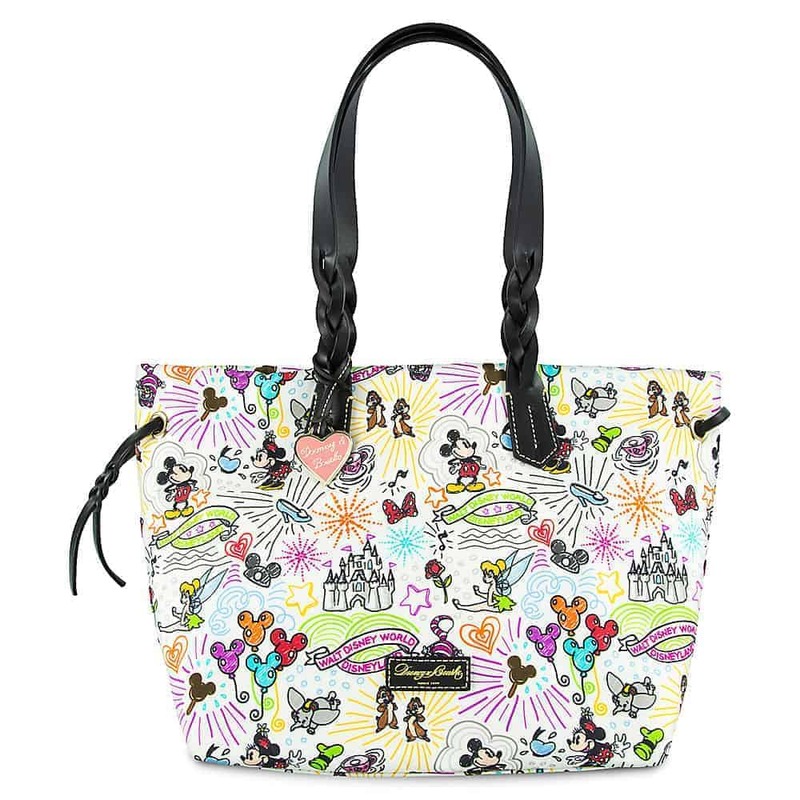 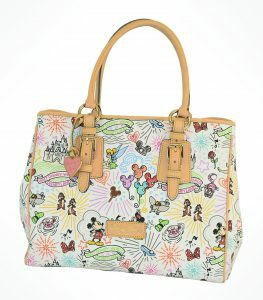 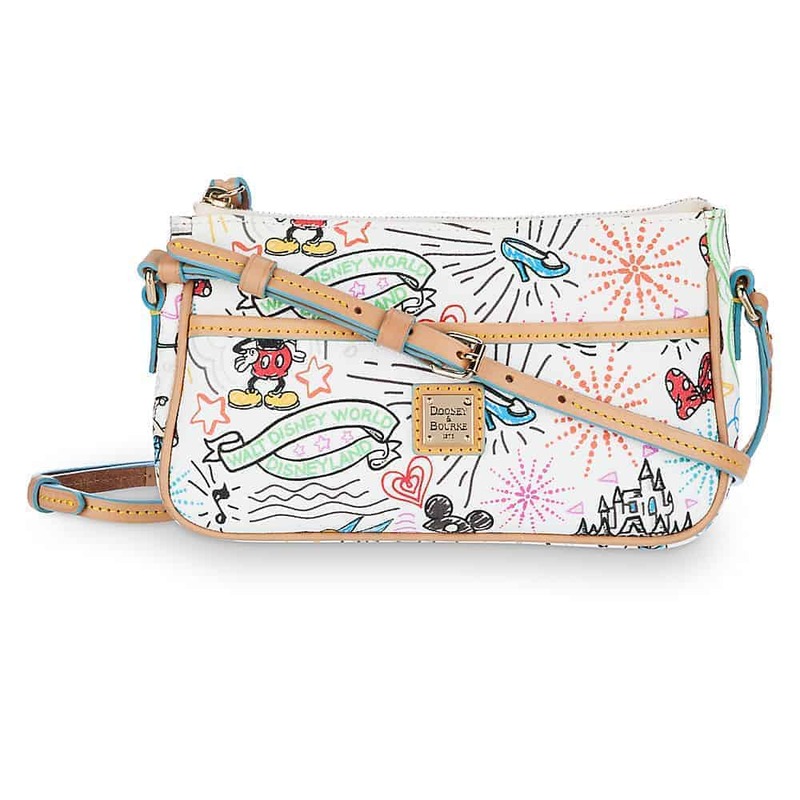 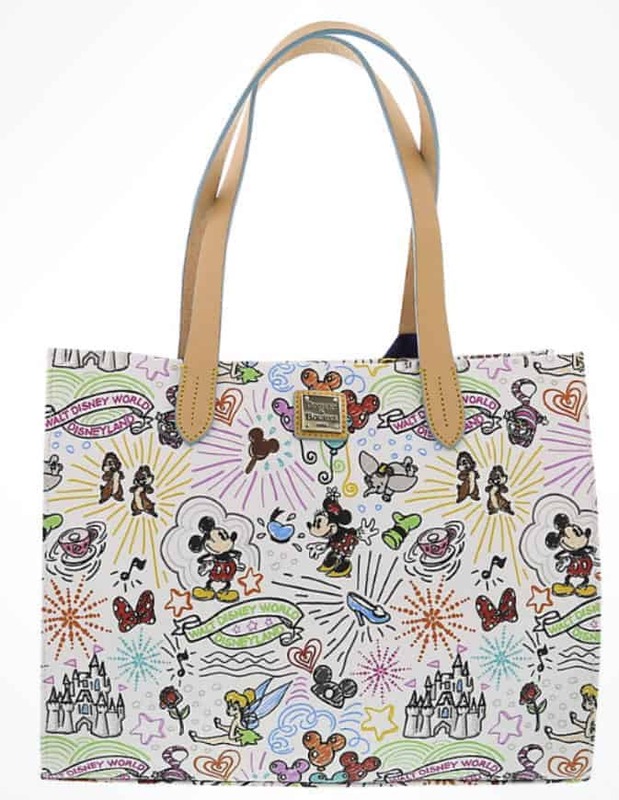 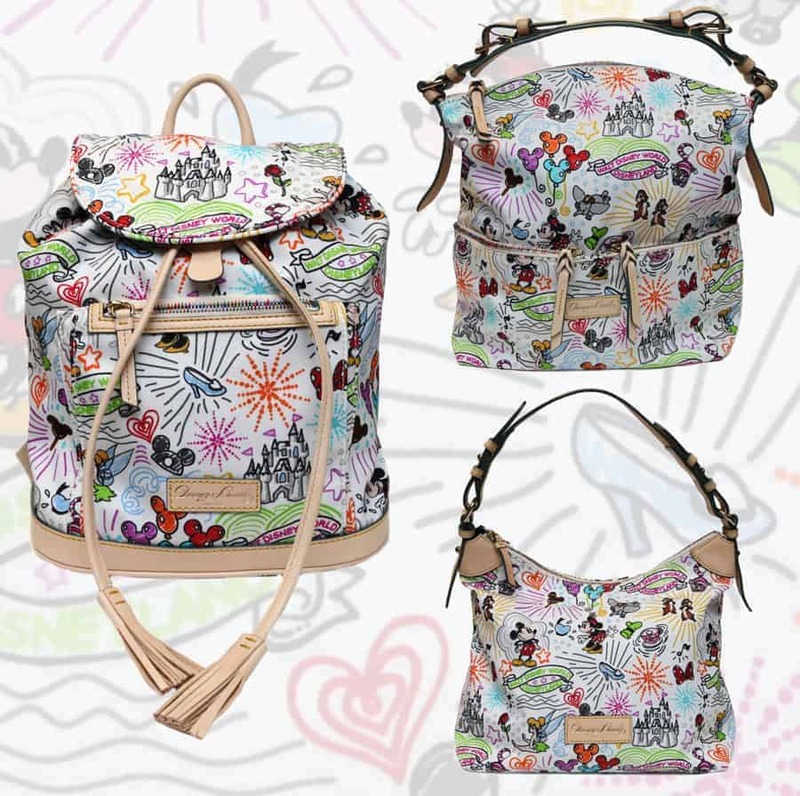 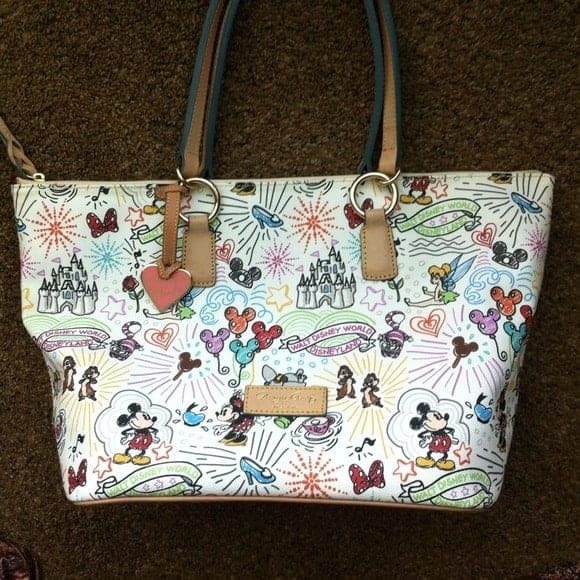 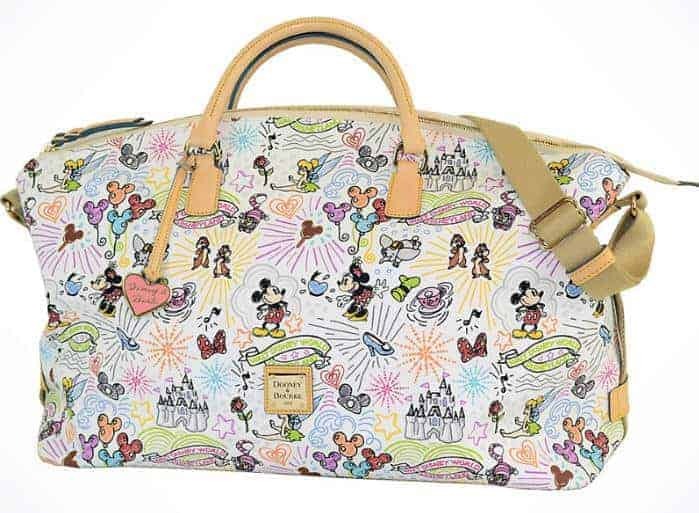 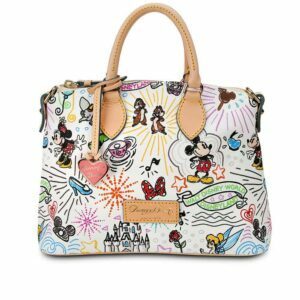 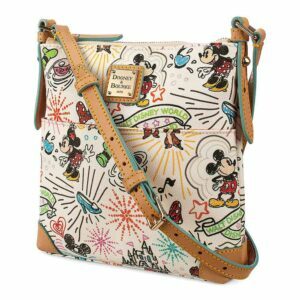 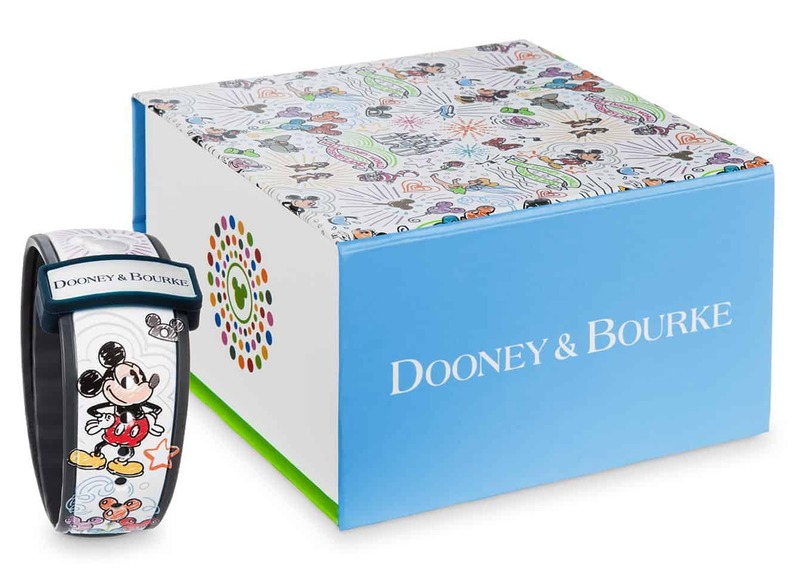 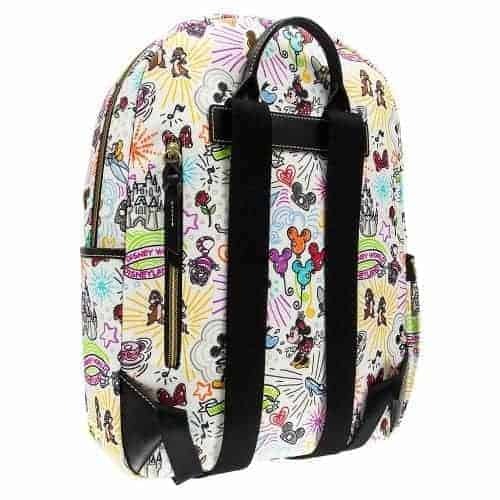 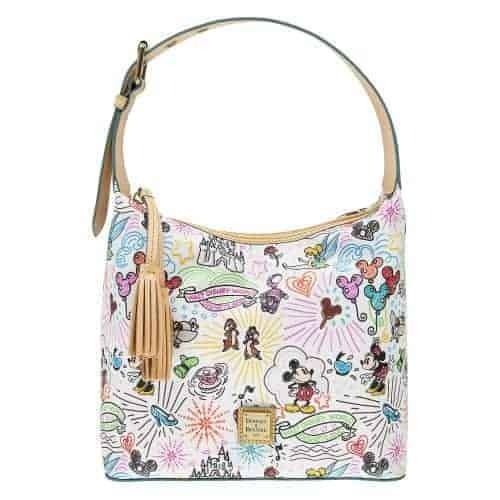 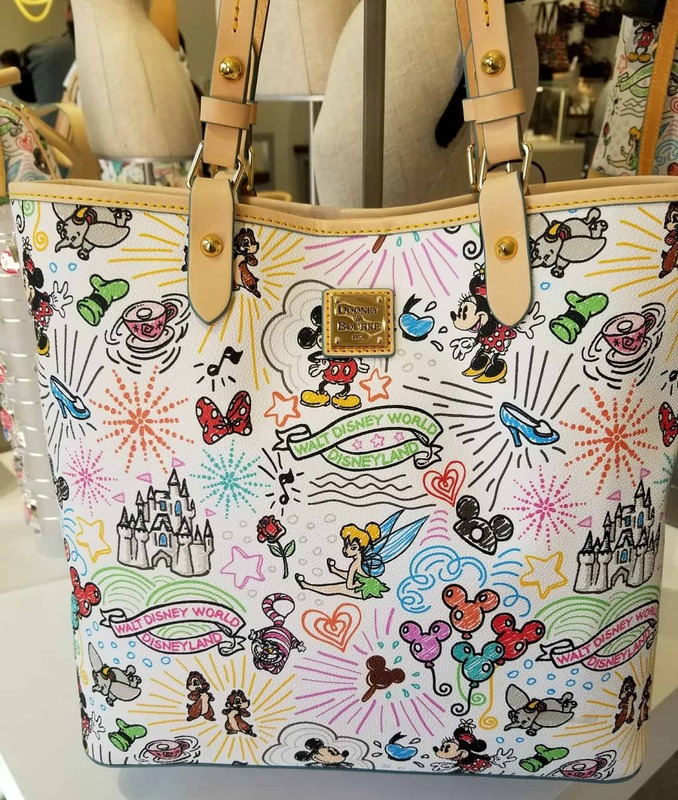 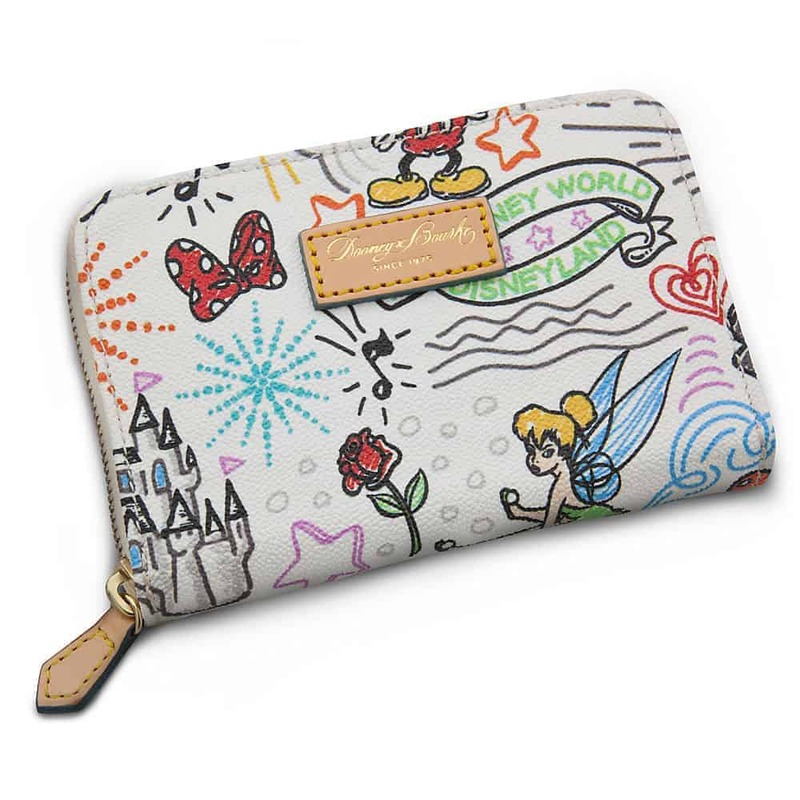 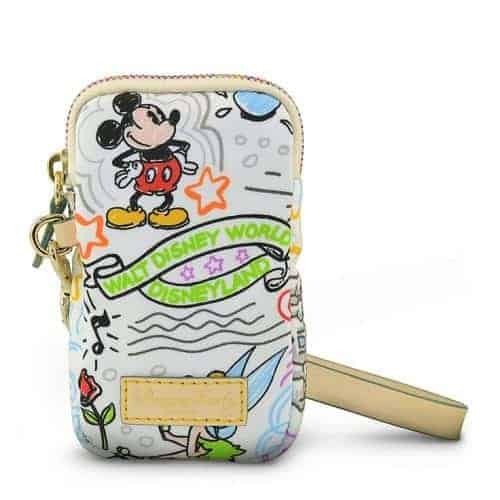 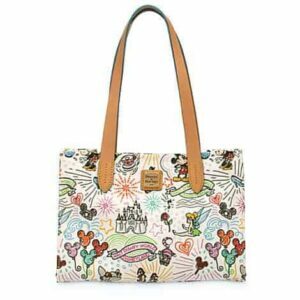 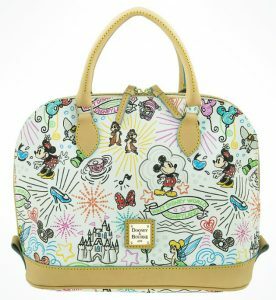 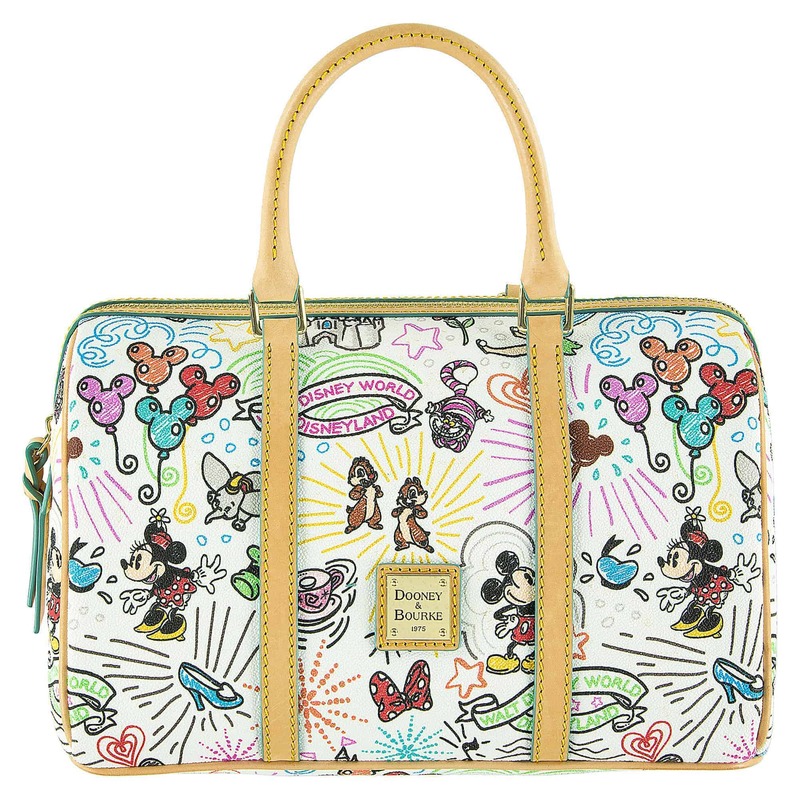 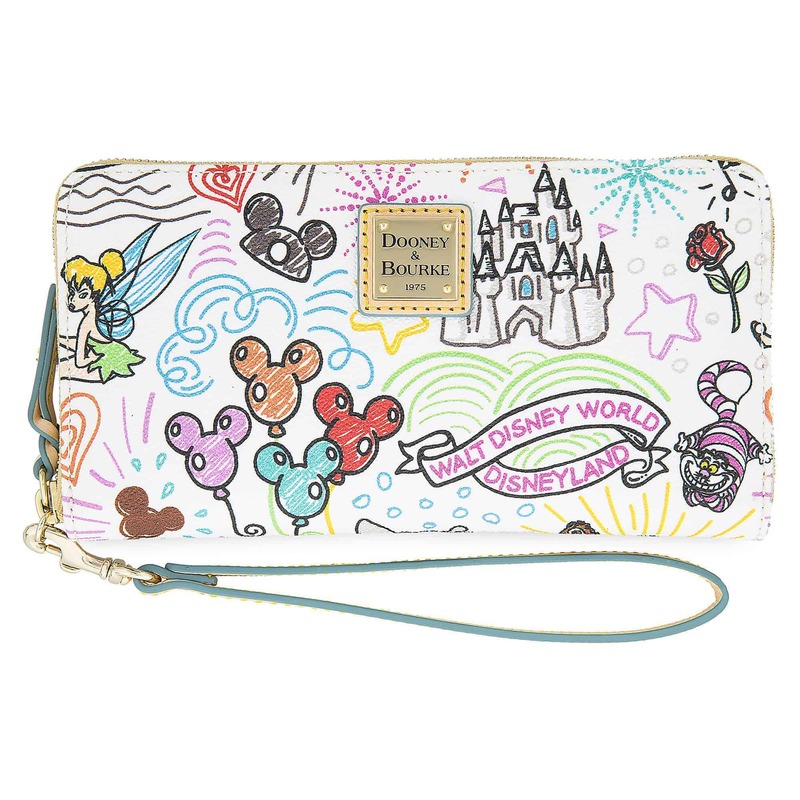 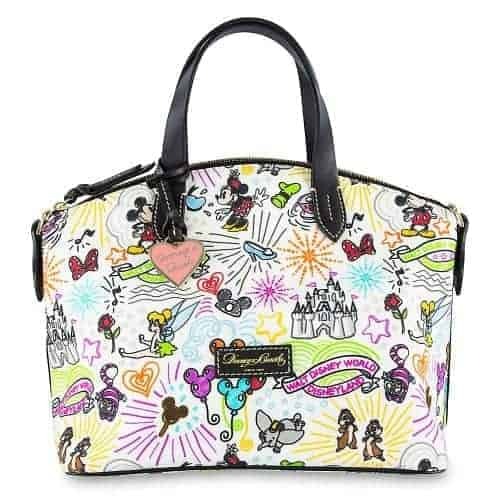 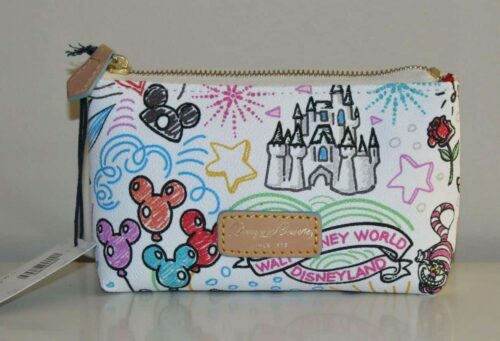 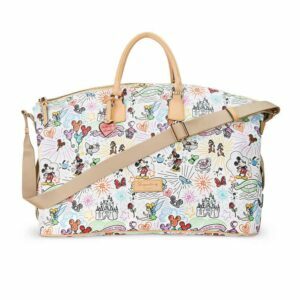 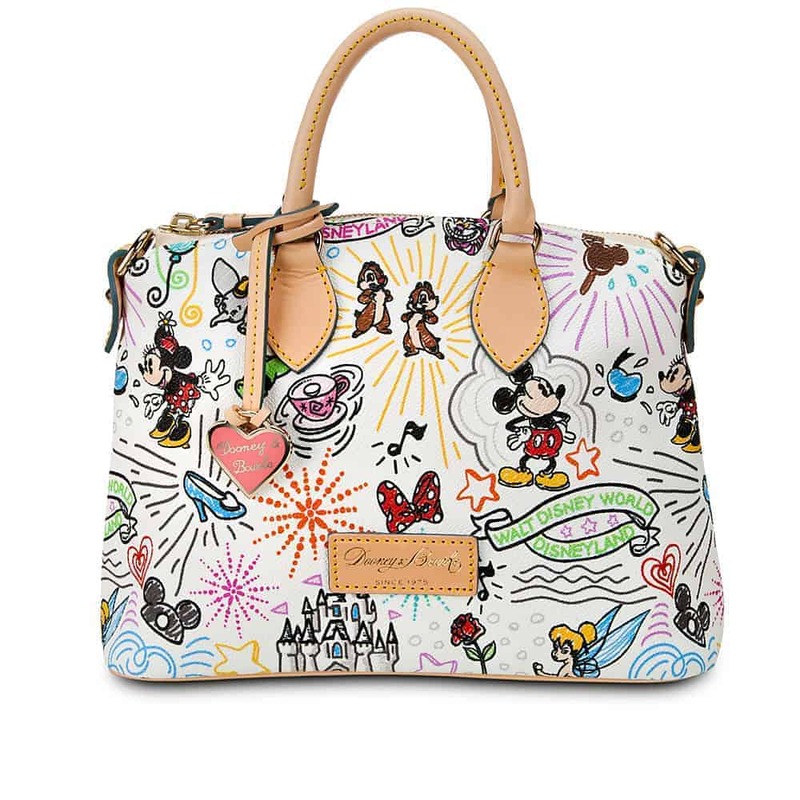 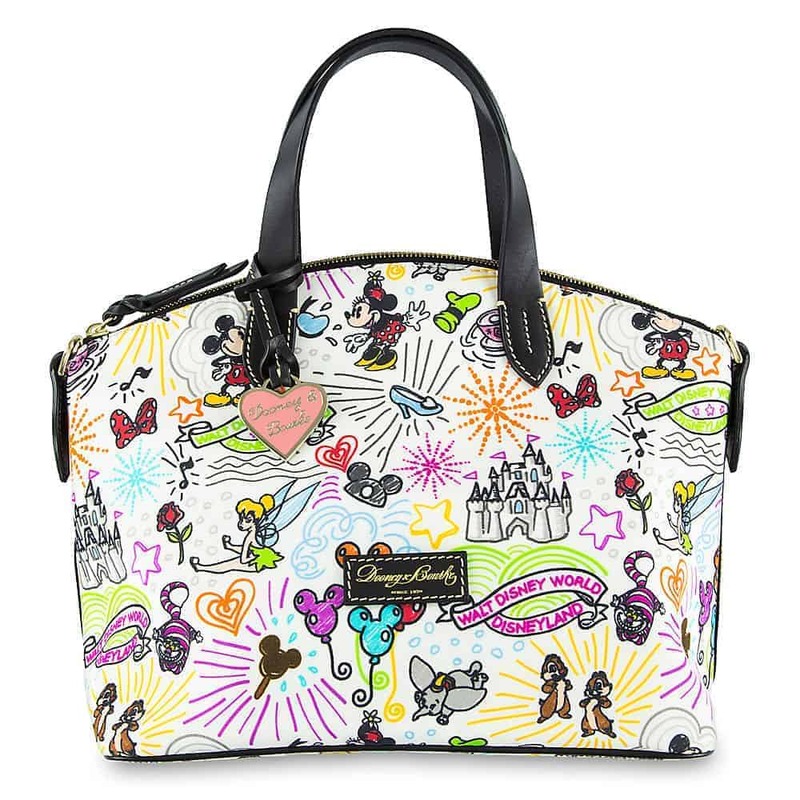 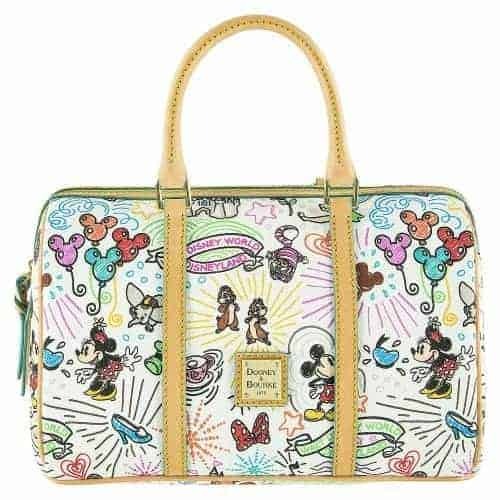 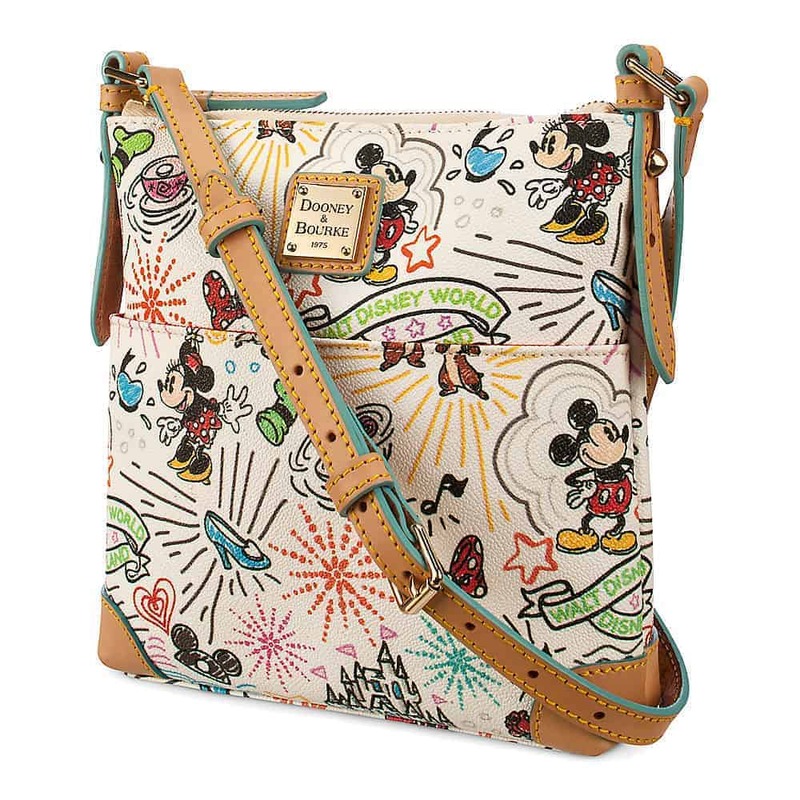 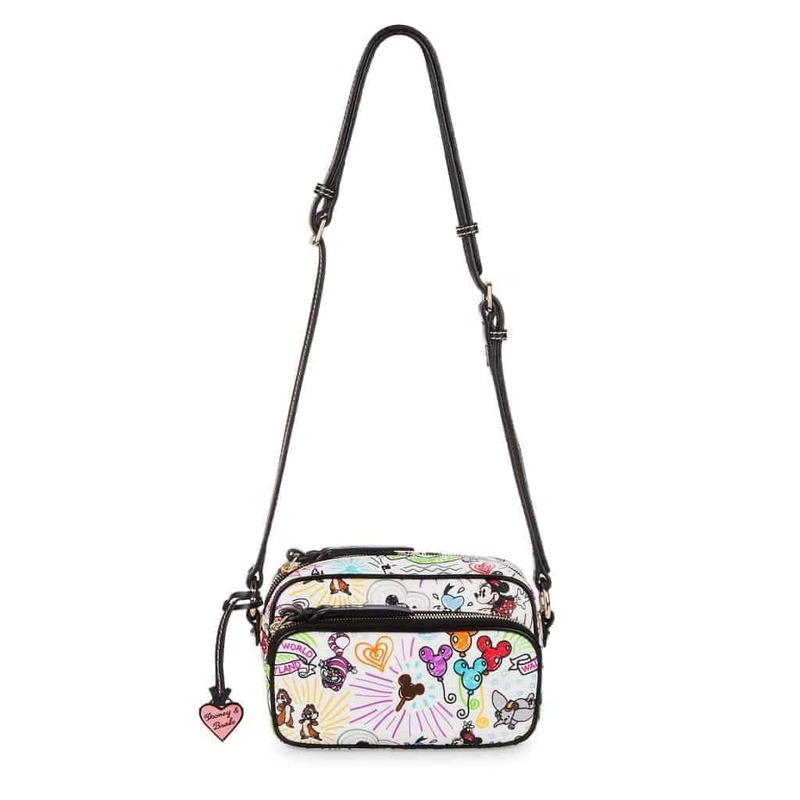 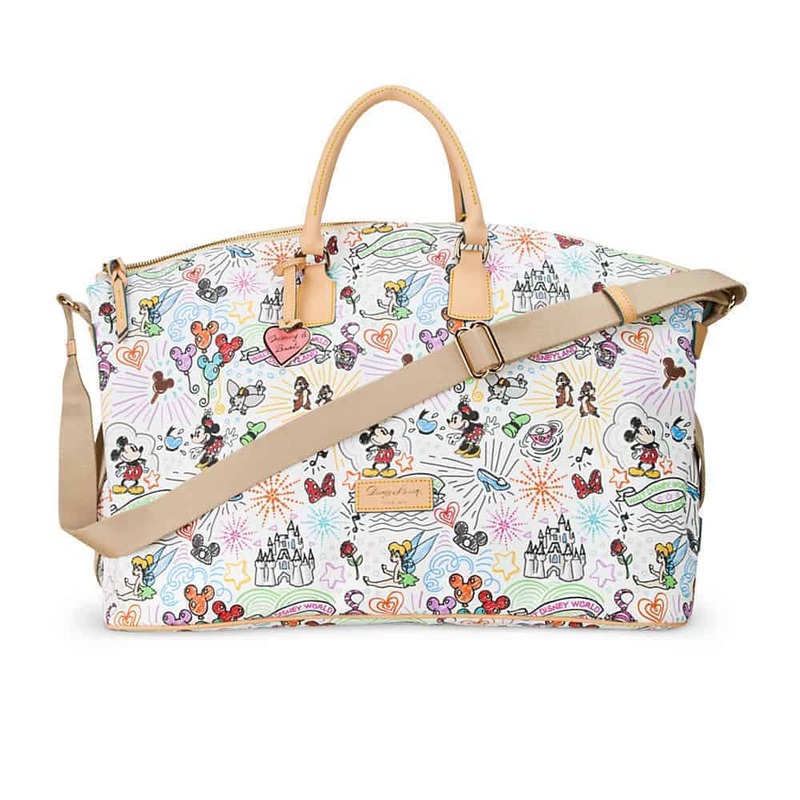 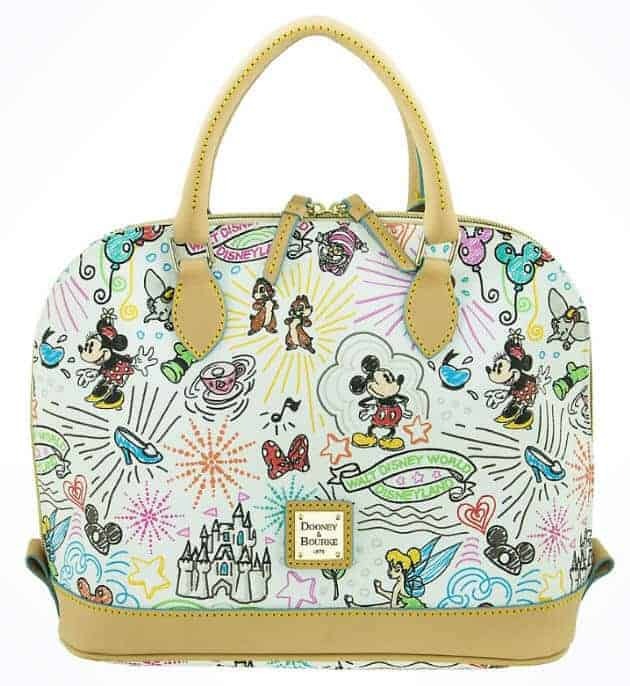 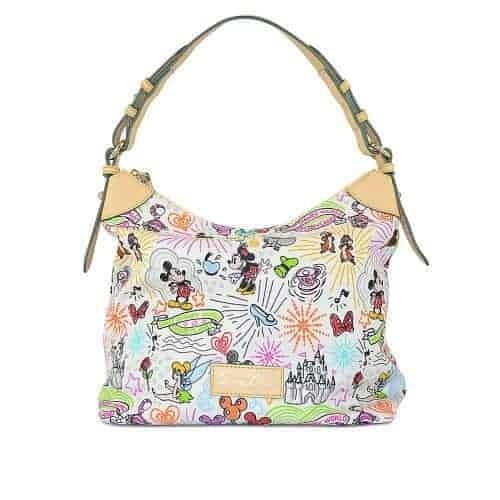 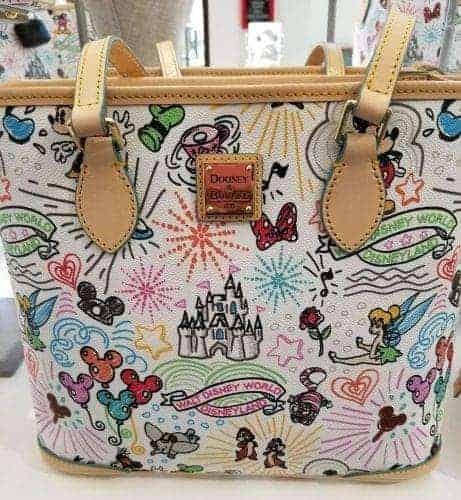 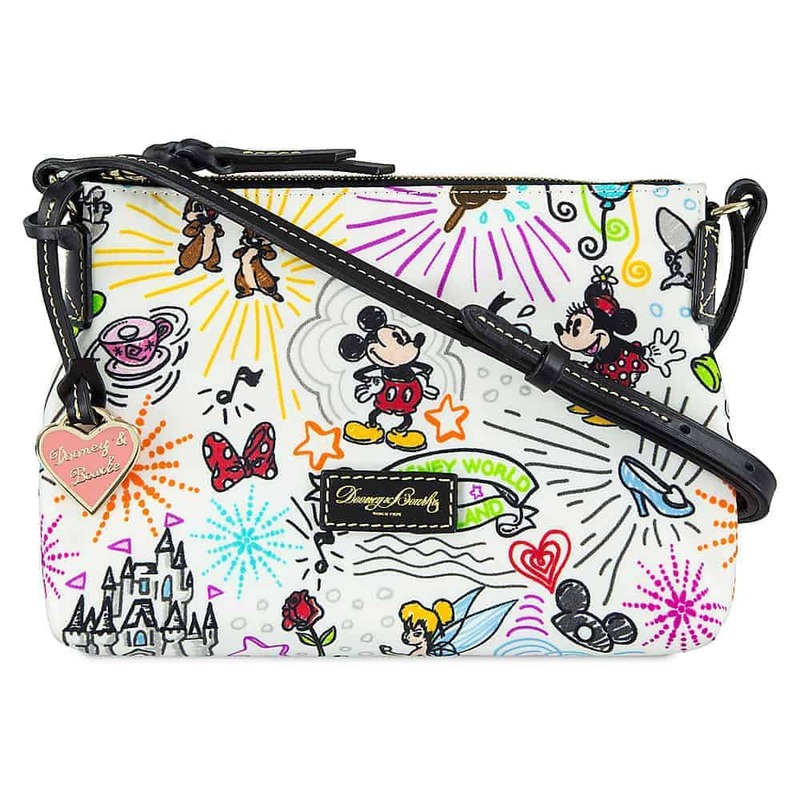 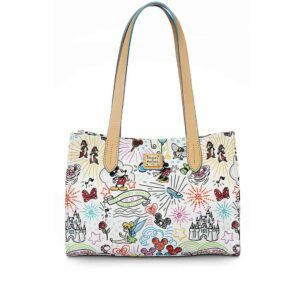 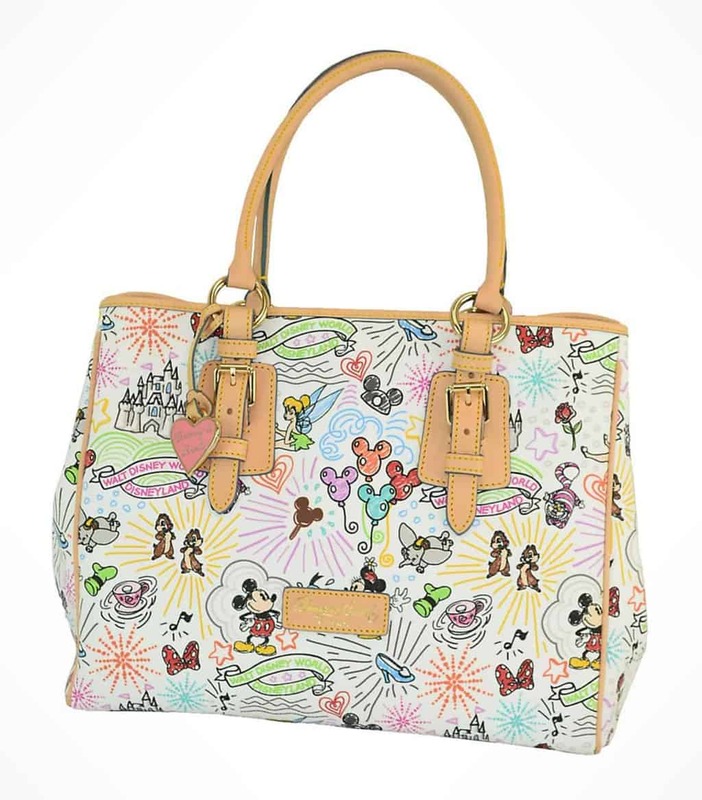 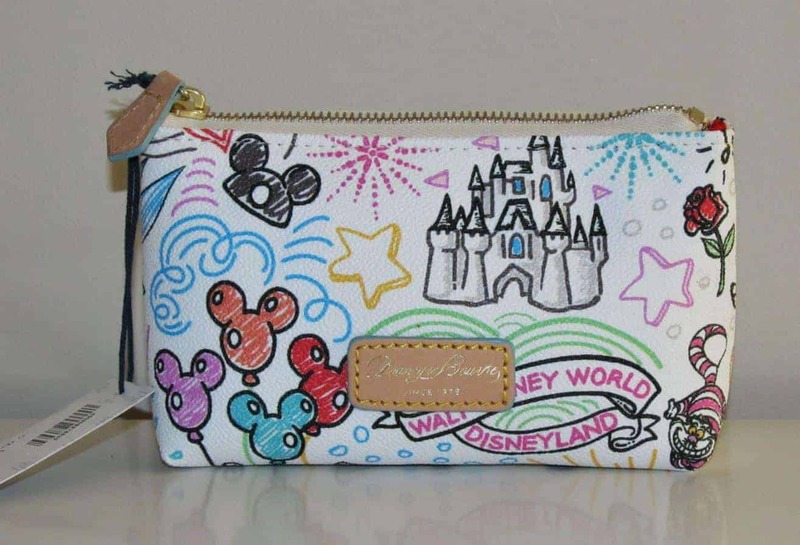 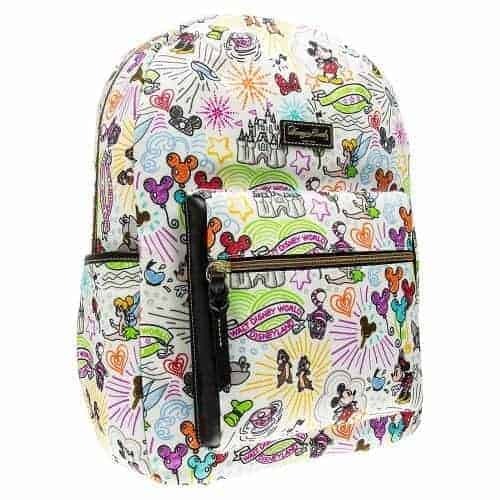 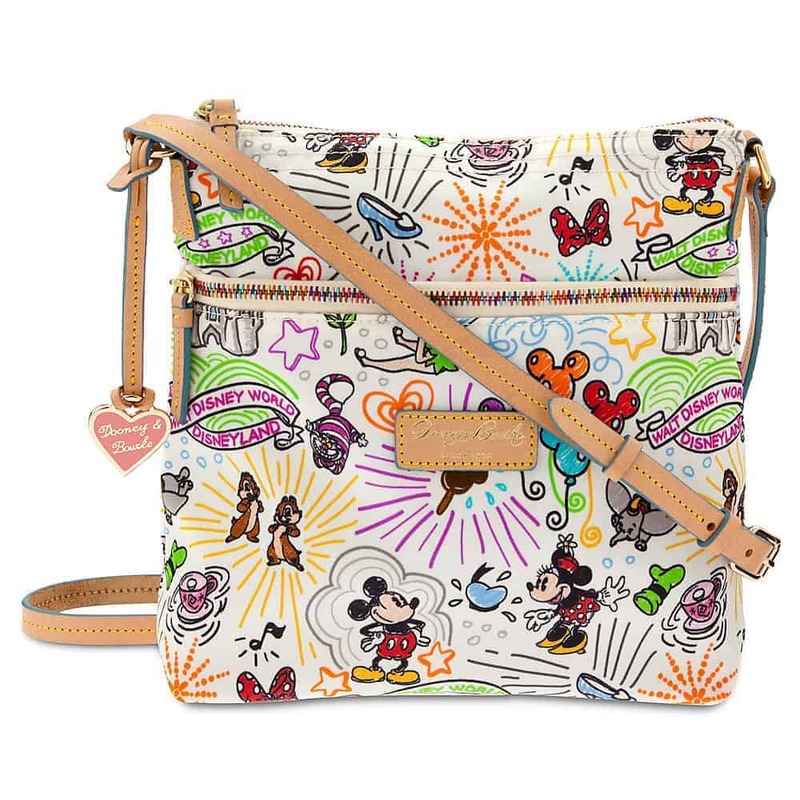 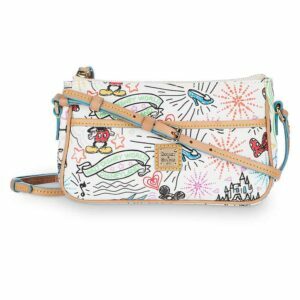 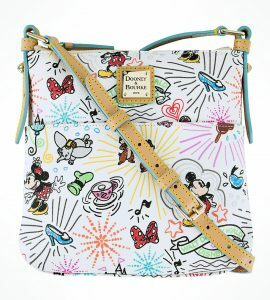 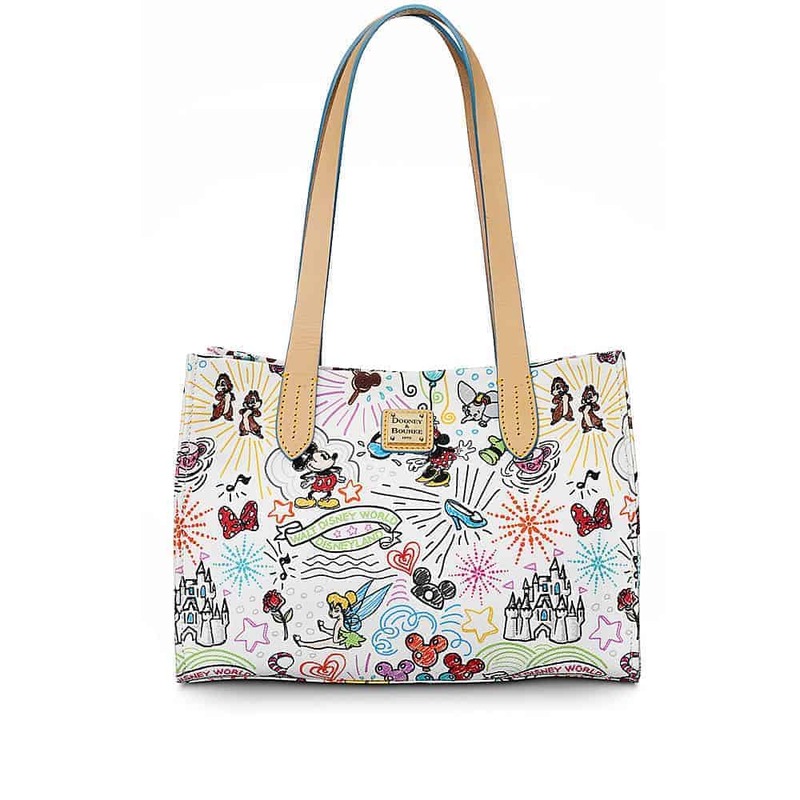 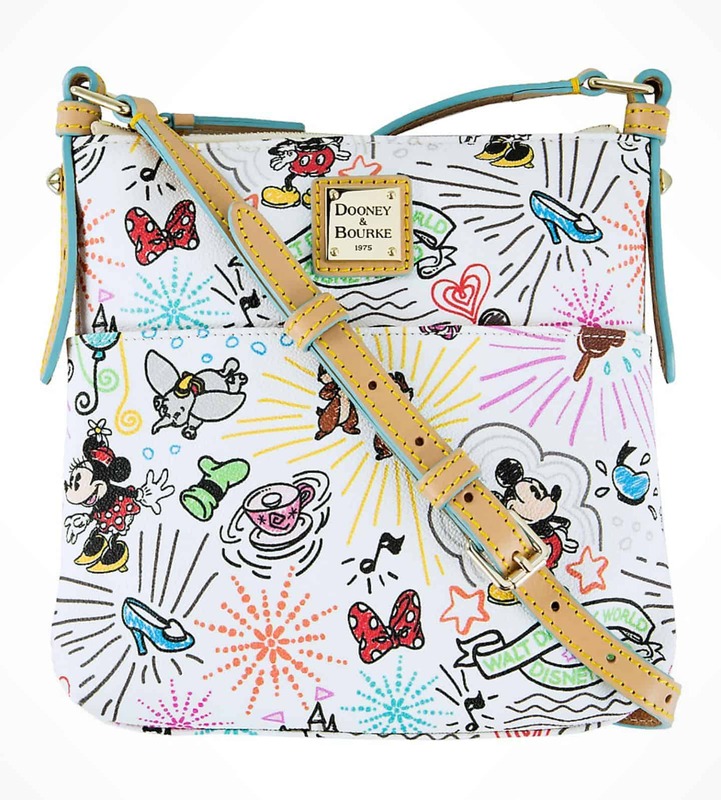 Coated cotton consists of cotton canvas (or fabric) coated with PVC and is what most Disney Dooney & Bourke bags are made of. 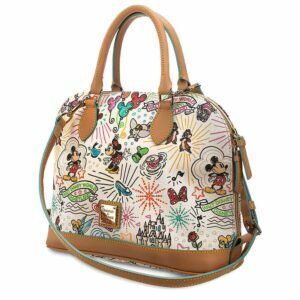 They almost feel as heavy as leather but with a smooth sheen from the PVC coating, which makes them more durable and easier to clean. This hip pack can be worn around your waist like a fanny pack or converts into a crossbody bag. 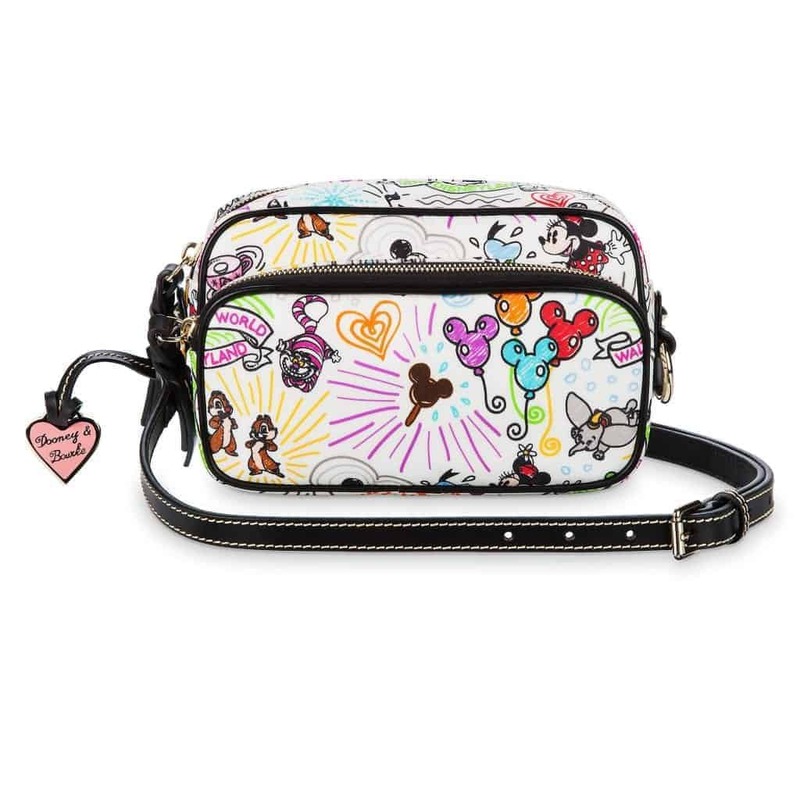 Stow your small essentials in this adorable nylon travel-ready purse. Released August 2017. 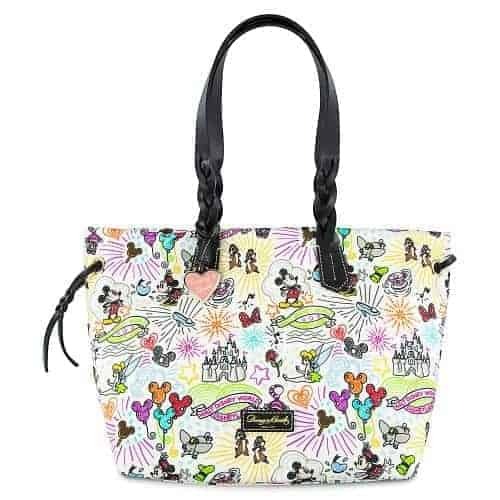 This collection has black leather trim, straps, and handles.